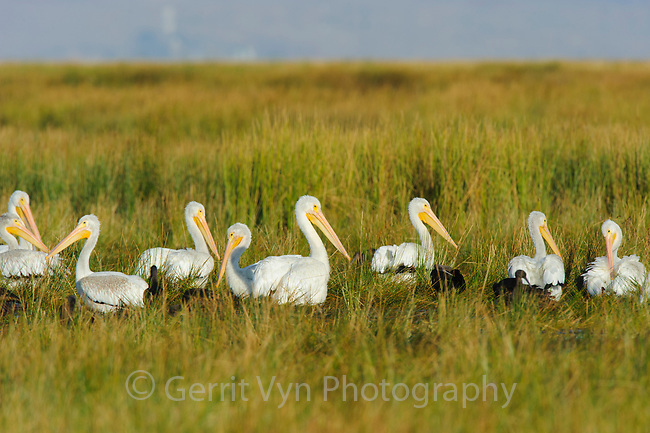 Flock of American White Pelicans (Pelecanus erythrorhynchos) in winter plumage sitting in a marsh. Malheur County, Oregon. September.